Most recreational boaters don’t stop to consider whether their jurisdiction has a Good Samaritan Law or what it says. When they see someone in trouble on the water, they instinctively try to help. Still, it’s a good idea to know what your local Good Samaritan Law says, if you have one. Typical laws spell out the obligations of a boater to those in trouble and protections the law may provide if aid is unsuccessful. 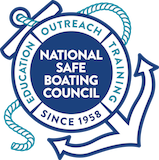 Boater Responsibility: Public statements should always mention the acts of good Samaritans when they occur, thus encouraging others to always be alert for boaters needing help. Good Samaritan Law: Contact your local state marine agency regarding local Good Samaritan Law.